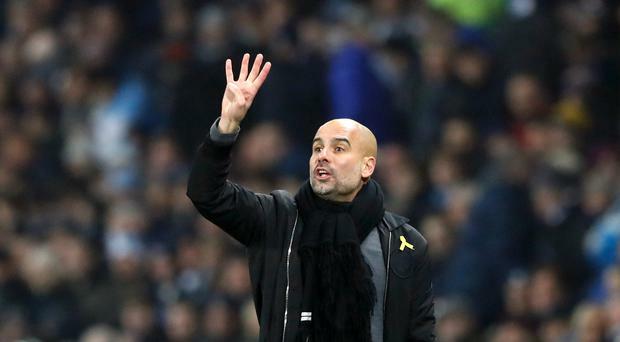 Manchester City are confident manager Pep Guardiola will stay at the club beyond his initial three-year contract, Press Association Sport understands. City are planning talks with the former Barcelona and Bayern Munich boss next summer and have high hopes of concluding a deal. Guardiola, 46, has overseen an outstanding start to the current season, his second at the club. City are 11 points clear at the top of the Premier League after winning their last 16 games and are through to the Champions League last 16. Guardiola said last month that he was happy at City and his contract, which expires in 2019, was "not a big issue". City are understood to be equally relaxed about the situation and are confident of securing Guardiola's services for a longer term before his current deal enters its final year. The club are highly impressed by Guardiola's performance this season which, they believe, has been moulded by his experiences last term. City failed to mount a serious title challenge in Guardiola's much-hyped first season in England and finished an underwhelming third. They also exited the Champions League in the first knockout round. Since then the squad has been reshaped and, if Guardiola underestimated the challenge last term, that has only made him doubly determined to succeed this time. Guardiola was one of the most sought-after coaches in the game when he arrived at City. His successes included three LaLiga titles and two Champions League victories with Barca and three Bundesliga crowns at Bayern. City first tried to lure him to the Etihad Stadium in 2012, as he took a year off after leaving Barca, but he eventually opted for Bayern. His decision to leave Bayern after three years and then to initially only commit to City for a similar period raised questions over whether Guardiola would be willing to stay long term. But City are thought to be impressed by how Guardiola has immersed himself in all aspects of the club as well as his attention to to detail, which have potentially laid foundations for sustained success. These would remain in place whether Guardiola stayed or not, but they are convinced this indicates his commitment. There is also no concern that he may decide to take time out and repeat the sabbatical year he took after leaving Barcelona. They feel many of the c ircumstances that led to that decision were unique to the Catalan club, where there are political as well as sporting pressures.